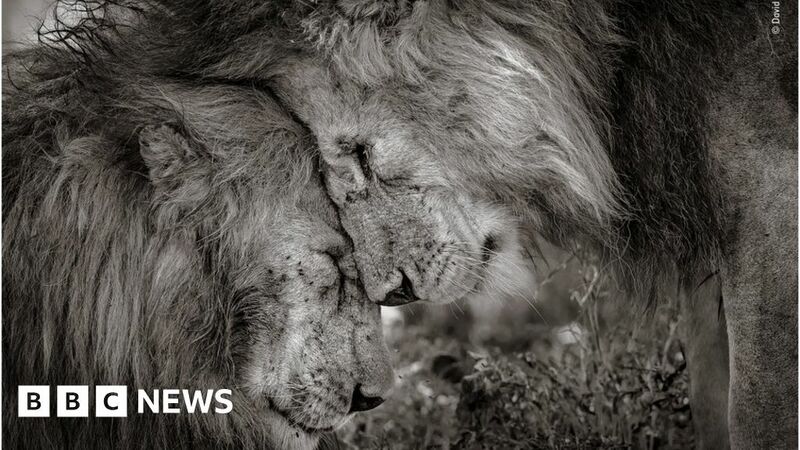 A photograph of a pair of male lions, entitled Bond of Brothers, is the winner of the People’s Choice Award at this year’s Wildlife Photographer of the Year competition. It was taken by professional photographer David Lloyd, who saw off competition from more than 45,000 entries. A shortlist of 25 images was selected by the Natural History Museum and opened to the public to vote for their favourite. “I’m so pleased that this image did well because it illustrates the emotion and feeling of animals and emphasises that this is not limited to humans,” says Lloyd, who is from New Zealand but living in London. The picture can be seen at the Natural History Museum alongside other highly, commended entries, four of which are shown here.